I drank some coconut milk heated with a good sprinkle of turmeric and a good sprinkle of ginger last night and it worked better than Advil for the pain in my ankle! I am having severe ankle pain right now. I don't know what to do, this is the third month already. I've been to several doctors and they all say blood tests are negative and I have no blood clots. This pain came out of nowhere. I do get the gout once in a while for which I get a shot and it goes away after two to three days. But with this severe ankle pain I can hardly walk. The top of my foot feels stiff and the skin color is not normal. When it's not in the left foot it immediately goes to the right behind the heel or on the side of the big toe. I am going to the emergency room again tomorrow. I hope I get some help at this hospital. It's a bit of a depression not being able to get up without all of this pain. I can tolerate pain but not this type, it feels like I have an intravenous needle in my foot. Advil seems to help but I don't want to take too much of that. I am taking three pills at a time which helps a little. I have read many of the testimonials from those who"ve experienced foot and ankle pain and gained treatment without any successful results. I truly grieve in my heart for all of you who have to endure this chronic pain. Right now, I'm experiencing pain in both of my feet, on both of my ankles with severe soreness and stiffness on the area on top just behind the toes and on the padding just below my toes. I walk with a cane now and dread getting up to walk, I dread even being off of my feet as the pain is keeping me up even now in the wee hours of the morning. I wish I could say I despair, but believe it or not some of the testimonials are worse than mine. I hope everyone can find resolution to their situations. My tendon pain started about 3 months ago, I suspect that in my case it is from wearing sandals. I have iced them – that helped for a while. Got on treadmill with runners and concentrated on bending my ankles and found that helped; this is how I concluded it was my footwear causing my problems. With the weather cooling off I am back to full shoes and my tendons are getting better amazingly quickly. My ankle pain started 15 years ago. I saw several orthopedists, who all prescribed the same meds that really don't work. My pain is especially bad first thing in the morning or after activities like cutting grass or golf. Hours later or the next morning, it's like walking on broken bones. I can't wear regular shoes at all – the pain runs right up to my knees. 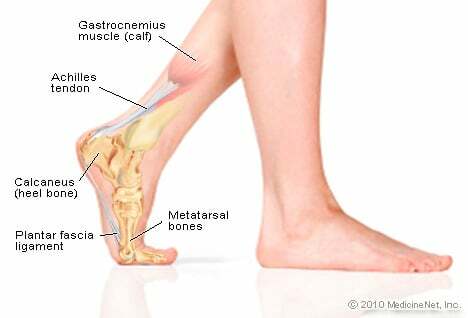 I have been experiencing pain and swelling in my right ankle just above the outside bone. For some time now I have what I think is gout flare ups according to self-diagnosis. There is swelling in my foot that moves to the ankles then the knees. One time it was in the elbow. I think I have either sprained or have an ankle that is really sore to walk on. I use Advil for the pain and just bought an ankle support to help me. I started walking for exercise and went from 2 to 8 miles over a two month period. My left ankle started hurting and I went to my doctor who said it was sciatica. I have been going to physical therapy for 6 weeks and they have also treated for tendinitis with no relief. I don't know whether to stretch or do the press ups anymore. I emailed my doctor to get an MRI and am still waiting for a response. NSAID's are not doing anything. I will not take pain pills as I am a 16 year recovering addict. I hope you all feel better soon! My ankle started hurting about 5 years ago. I operate heavy equipment and pumping pedals for 14 or more hours a day in stiff boots made it start hurting. The doctor couldn't find anything wrong. He said I was bow-legged and that I need to wear orthotics. Then he released me. I still suffer. I haven't been able to work as an operator in a year. I only lasted 3 weeks then I'm uninsured, so I have no way to see a doctor and with no way to see a doctor it will hard to determine if I am disabled. I don't know what I have I'm still waiting to be diagnosed. I've had a bad ankle for a couple of years now. At first it just kept clicking, was very swollen, and just didn't feel right. A couple of months ago I sprained it when I slipped on a wet floor. I now have terrible pain, more clicking, and I wear a support -- but no help and I'm just fed up of it. I'm waiting to have another MRI done to see if there is any ligament damage, but before this none of the doctors have shared what they think it is and it is quite frustrating.